Create a memorable birthday party by using a unique birthday cake idea for the party's centerpiece. For generations, traditional cakes were perfect for birthday celebrations. Today, however, unique cakes are all the rage, especially those that complement the party's theme. Unique birthday cakes come in a variety of flavors, styles, sizes and shapes, and more often than not, is different than anything else out there. This gallery of unique birthday cake ideas showcases a few of the one-of-a-kind cake ideas available. The gift of a birthday cake is not uncommon. If you know how to make these tasty treats, consider making one wrapped as a present or order one made by a professional cake decorator. Whether it's a first birthday or a 50th birthday, this amazingly unique cake combines several decorating techniques and colors to create a one-of-a-kind confection. What little girl wouldn't love this buttercream frosted birthday cake? The pretty pastels coupled with the fondant ballerina is perfect for any party. Unique birthday cakes don't have to resemble something concrete. This cake showcases bright colors and fun designs, which for most kids -- and some adults -- is enough. Your little astronomer will love this outer space birthday case, complete with stars, planets and the sun. 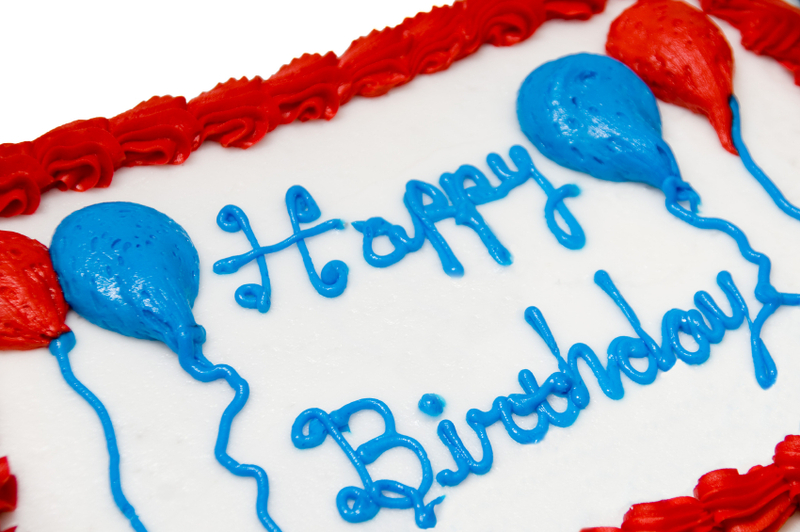 Birthday cakes don't have to be full of bright colors or crazy designs. Instead, serve a novel cake that is also elegant. The swirls of cocoa powder on this mocha cake, combined with the elegant chocolate pieces and strawberries, make a stunning statement for anyone's birthday. If it smells like a chocolate lover's cake, then for sure, it is one. Who can resist this confection covered in buttercream frosting and chocolate shavings? Easy to make and even easier to eat! Cakes shaped as bugs or other animals are very popular at children's birthday parties. For a youngster's first birthday, consider this smiling lady bug cake. Large birthday guest lists call for large birthday cakes. Make a stacked tiered cake for extra special celebrations, like a baby's first birthday, a milestone teen birthday, or even an over-the-hill birthday. Decorate each layer to coordinate with the next. Top it all off with a large fondant bow.